Grumachama is a gorgeous, small to medium sized sub-tropical cherry tree indigenous to the coastal areas of southeast Brazil. 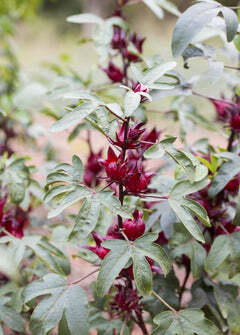 It is related to Surinam Cherry, Pitanga, Cherry of the Rio Grande and Pitomba. Commonly known as Brazil Cherry, the Grumichama tree abundantly produces small apple-shaped fruit that is dark purple to black in color when ripe. Mature plants can handle light frosts and will survive drought periods.